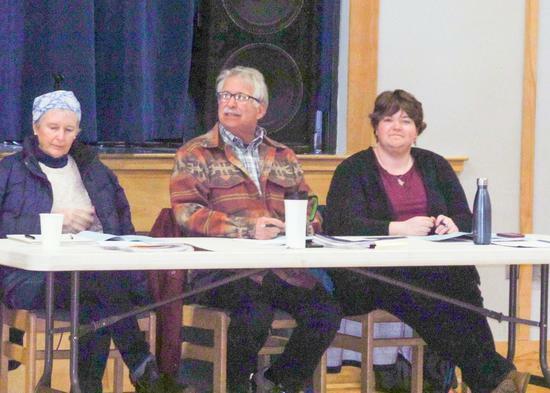 The town of Brooklin held its annual town meeting Saturday, April 7, at The Brooklin School. 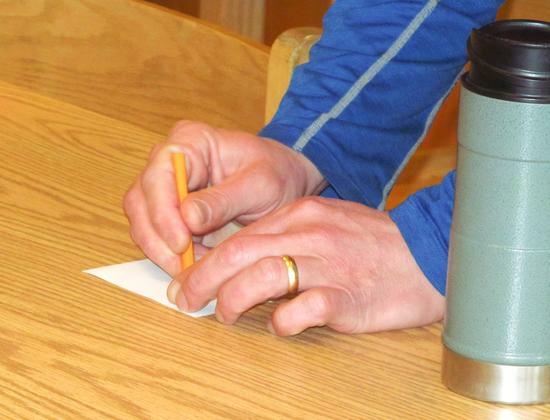 Residents cast their votes on a school article. 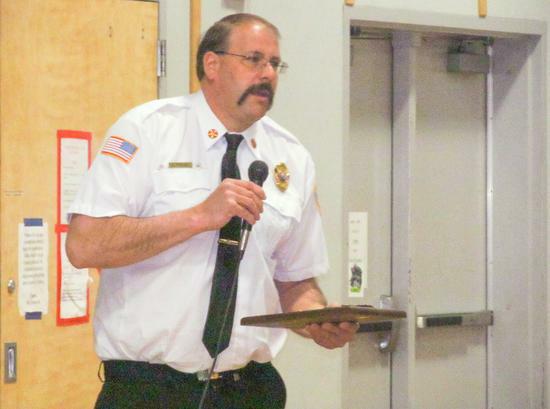 Brooklin fire chief Sam Friend addresses voters during town meeting. The board of selectmen, Deborah Brewster, left, Bill Cohen and Laura Sherman at town meeting.